We're really proud of our corporate supporters. Whatever their business, they all share one thing in common: they recognise the important work of the Sussex Wildlife Trust and want to do their bit to support us locally. This page is our acknowledgement to all of their support... thank you! The Southern Co-operative is a successful independent regional business owned by its members. Established in Portsmouth (Hampshire) over 140 years ago, we now run more than 250 community food stores and funeral homes across eleven counties in southern England. Infinity Foods is one of the UK's leading wholesale distributors of organic and natural foods. Our Infinity Foods Shop and Bakery is set in the heart of Brighton’s North Laine district, and has what is probably the largest selection of organic and natural vegetarian and vegan foods in the South East. UK Power Networks own and maintain electricity cables and lines across London, the South East and East of England. The Wildlife Trusts work in partnership with UK Power Networks nationally. Matthews Demolition are the South East’s leading demolition and haulage contractor. With an ethos built on Safety and Service we are proud to work with some of the United Kingdom’s leading clients and contractors. movement of law firms committed to working collaboratively to take action on climate change by reducing their carbon footprints and adopting environmentally sustainable practices. With a passion for the environment. envirospherejobs has the clear vision of an environmentally-conscious business. Delivering a unique Total Job Solution to both clients and job seekers. Catalicity works with organisations to develop Transformational Strategy for Transformational Times. We believe that every business has the potential to make positive impacts on the environment by looking at new markets, new products and new processes to build on their current success. Lady Penelope Gardens Ltd was founded in 2008 by Angela Palmerton to provide a bespoke country garden maintenance service for private garden owners in and around the South Downs National Park. Kent and Sussex Holiday Cottages is one of the South East's longest running agencies providing 300 quality self-catering cottages in these picturesque counties. Oasis Empire the South's Premier Print Specialists providing high quality litho/digital printing, promo merchandise and business supplies. CSL Behring develops, manufactures and markets a range of products for therapies including coagulation and immunology. Wienerberger is the world’s largest manufacturer of bricks and is particularly known for its Terca brand of clay facing bricks. 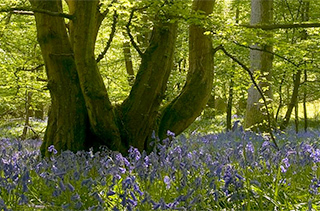 Woodlands.co.uk have been working for over twenty years to bring the excitement of owning a wood to more and more people. management and procurement of landscape schemes.